For most people the only thing they need to know about the book publishing industry is when their favourite author is releasing their next book. Sometimes they have other questions. Since the release of my first book I’ve been asked by both readers and other writers about how the publishing industry works and what happens once your book is out there in the big, wide world. I’ve narrowed this down to 5 things you may not know so here they are in random order. It’s now 8 months since The Crossroads was released. Hard to believe all that time has passed! Although it still feels like last month to me, 8 months is quite a long time in the publishing industry. In any given year around 20,000 book titles are published in Australia so in industry terms many, many books have filled the shelves since my most recent publication. So for an author, the period of time they spend under their publisher’s spotlight is necessarily brief. That’s why most authors today, certainly writers of commercial fiction, spend time on their Facebooks, Twitter and Instagram accounts and other social media platforms. Traditional publishers expect their authors to actively market their books and for Indie (self published) authors the time spent on marketing is even greater. It’s how we try to find new readers, remind our loyal readers we’re still around and stay connected to our audience. Whether you’re traditionally or self published, you are paid a percentage of the profits from your book sales. For Indies this varies depending on the production costs – formatting, editing, cover design, marketing – while most Traditionally published authors receive 10 % of the recommended retail price (RRP). This means that after the publisher, distributor and book-seller get their cut, the author of a book that sells for around $30 will receive $3. It’s why we write for love not fame and fortune! Traditionally published authors generally receive an advance when they sign their contract. One part is issued on signing, one when the manuscript is delivered and the last third on publication. This advance is based on projected sales and is then earnt back by the author when the book is released. If for instance you received an advance of $10,000 and your book sold for $29.99 (RRP) you would need to sell around 3.5 thousand copies to earn back that advance. If you don’t sell that number you do not have to pay back your advance but the publisher may not be too keen on contracting you for another book. As the industry in Australia has become more precarious with the closure of book stores and competition from online giant Amazon, publishers have become more wary about offering large advances and sometimes sign an author with no advance. 4. What Happens After The Book Is Released? There’s a huge build up to release day for an author. Once the writing, editing and proofing stages are all done, there’s the launch to organize (if you choose to have one) and then the excitement of seeing your baby on bookstore shelves, the ‘shelfies’ that appear on social media and somewhere in there the nail-biting terror elicited by reviews. But there’s only so much space on the shelves (remember my earlier point about 20,000 books per year?) so once the initial fanfare dies down there’s the cold, hard reality that your book will soon be bumped off those shelves and replaced by newer releases. Big W is now the largest bookseller in Australia (yes, it’s true!). The retail chain orders large quantities which is why they are able to sell books at such a discounted rate. It’s also why they have a fast turnover and an author’s books may not be there a month or two after publication. If you can’t see a book on the shelves it’s always a good idea to ask the retailer – if there’s enough demand they might just continue to order in your requests. As you may have already guessed from points 1-4 the publishing industry is complicated. The players involved have diverse goals. For the author it’s about finding readers for their beloved stories (and hopefully earning back that advance). For the individual publisher – the person in the publishing house who works with the author to get their books up to scratch – it’s about nurturing and encouraging their writers. For the sales and marketing team within the publishing house it’s making sure the numbers add up. Ideally, when a book is published, everyone involved walks away smiling. 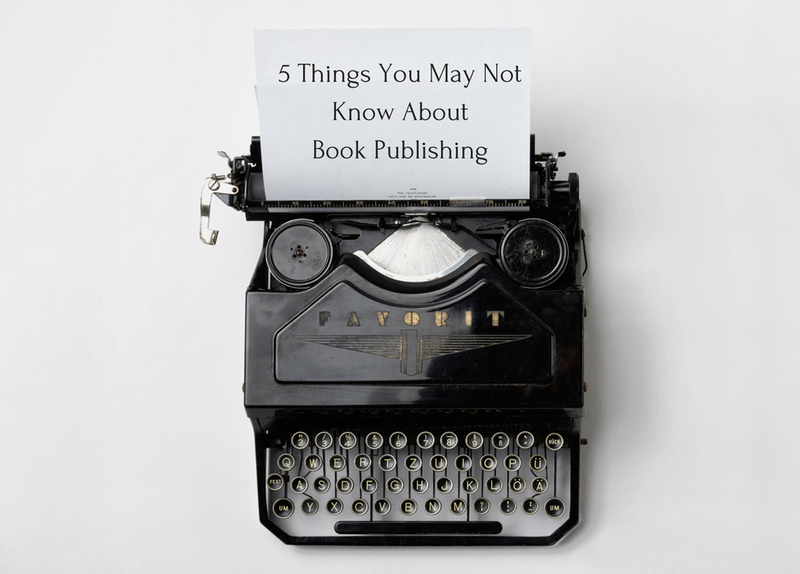 So many different factors can influence whether or not a book sells well and, like any other business, the vagaries of the market can be a deciding factor on whether or not an author’s next book will be published. For readers … if you would like to read more of your favourite author’s books, connect with them on social media. Like and share their Facebook posts, tell your friends about their books, encourage them to buy their own copies rather than lend them yours, ask book-sellers to order in the titles you would like to read and write reviews online to help spread the word. For writers … educate yourself about how the industry works. Get savvy (if you’re not already) about social media and accept that as part of the deal, do your homework on your ideal publisher and follow their submission guidelines. Write for love not money but above all write because you love to write and because the world needs your story. Happy reading and writing everyone.